Growing up I was always teased by my family that if I never kept my fingers out my hair, I won't have none left by the time of adulthood lol. I lived in my hair. Yet I've noticed in the last few years I've not done or experimented much with my hair . I love bohemian style clothes, lifestyle and hairstyles so I tried out this hairstyle today. I am in love with it, it's fantastic for medium hairstyles and I'm sure for long hair it can be done too. It's pretty quick too once you get the hang of doing it. I did both sides but because I always wear my hair in a side parting the opposite side isn't as thick a rope as my left side. 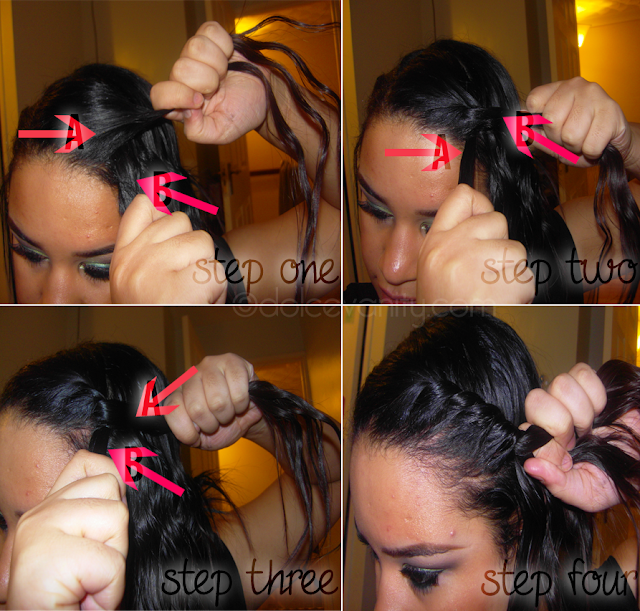 With more hair in section A loop it back over section B and repeat the procedure of collecting hair into the section that is underneath after each loop . 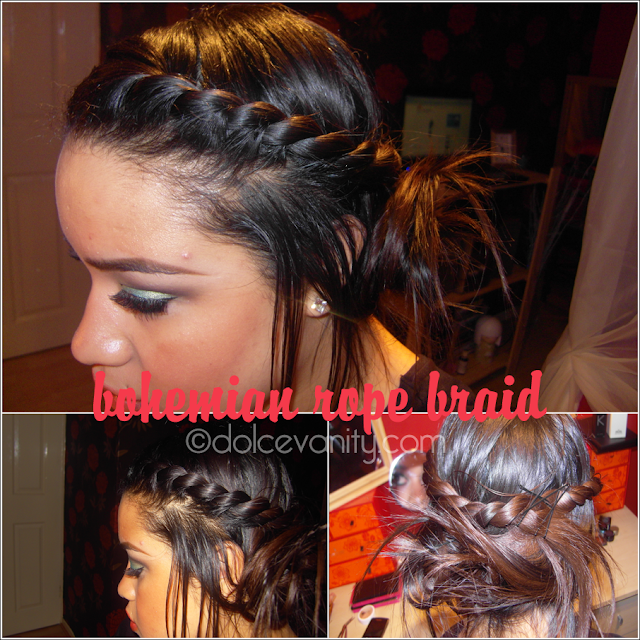 Continue until you have a tight 'rope' braid that will give off a french braid effect due to the adding of more hair to get the thick rope effect. Once you get to the end you can tighten it with a hair band or use a bobby pin and pin it to the back. You may choose to do the other side as I did and then have a scruffy back and side messy bun which was held together by just pins . I really do hope that was understandable lol in retrospect I've never been the best person to give directions - believe me. Any questions, please don't hesitate. Oh my goshhh this is stunning! I mustttt try this. Thanks for sharing! I love your make-up as well! @Arezu yay. I hope you get the hang of it and like it. Thanks love. The makeup will be in the next post . I love this hairstyle, thanks so much!